It’s no secret that the Clear Fork area in Fort Worth is booming. The area has shopping and tons of options for great food. One of those options is Malai Kitchen which is a Thai brew pub that is settled in the back corner of clear fork on Monahans Ave. This level of urgency brought us into Malai kitchen and we immediately placed an order for some Thai Tacos. Dear lord we DESTROYED these tacos. Our hunger immediately took out the second round and luckily Malai was able to deliver in bringing out the second round very quickly. We weren’t even able to finish our conversation of everything that we loved about the Thai Tacos before our round two of Thai Tacos came out and we yet again DESTROYED them. It’s around this time that I need to fully acknowledge how good we thought these were and also apologize. These Thai tacos from Malai Kitchen were so good that we got them twice. And both times were so distracted by taste that we forgot to take a picture. First time was understandable because we were both incredibly hungry and needed food, but in regards to not taking a picture of the second round, that’s my bad. Thai Tacos aside there is a lot to get excited about with Malai. This restaurant is the product of a husband and wife duo who brought a love of cooking thai as well as brewing to their restaurants. As a homebrewer, I loved being able to order original beers that also paired well with the thai dishes that were being served. My favorite of all of them was the ThaiPA. It was a light beer but had some great bitterness profiles to acknowledge the high flavor profiles of both IPAs and Thai food. The beer being brewed with lemongrass, ginger, galangal, kaffir lime leaves, turmeric, and coriander is not as well noticed by itself but when paired with the thai food, it is an incredible compliment. 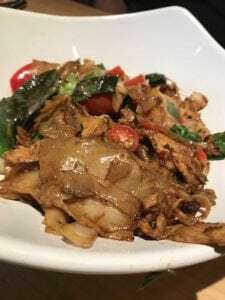 My wife and I ordered the Drunken noodles and the Kao Soi. Both of these were deliciously seasoned. They were full of flavor and I still cant get over how well they paired with the multiple home brewed beer options that were available. 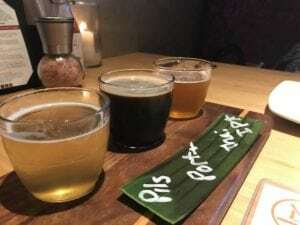 From what we experienced at Malai, you have to try the Thai Tacos, you have to try the house brewed beer with your meal, and you will not be disappointed with the seasoning of the food. I Am eagerly awaiting the week when their duck panang comes back onto the menu. 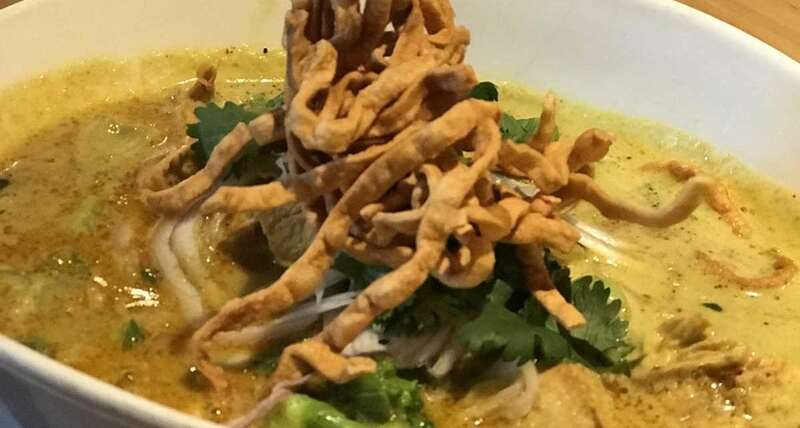 For the thai lovers and beer lovers in Fort Worth, you will not be disappointed. So there you have it Fort Worth. Get out there and eat it!